Liege is an amazing city in an amazing country. It has so many wonders one can't but admire and adore. So, even if your group is here on business, you'd better hurry to accomplish your work and have at least a day or two to explore the city. Returning to your hometown without visiting Pont de Fragnee, Le Peeron, Montagne de Bueren and other sights will be a real loss. You also must visit Eglise St-Jacques, Chapelle Saint-Roch en Voliere, Cathedral de Liege, La Cite Miroir, etc. At the end of the day, choose a restaurant in Liege and enjoy the delicious local cuisine. We would recommend dining at L'Ecailler or Terra Terrae, but these are fine dining establishments. For more moderately priced dinners, you'd better choose the Saveurs de Bulgaria Restaurant, La Cantinetta, Le Mekong, Chez Nathalie, or La Bouffonnerie. 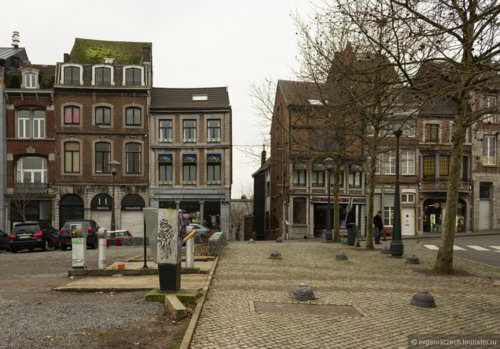 The first thing you need to consider is the means of transport you are going to use when you arrive in Liege. Hiring a comfortable minivan in Liege is the only way you can get quickly to all destinations with your whole group. 8Rental suggests becoming your accompanying guide as long as you are in Liege. Just rent a van with a driver in Liege from 8Rental and don't bother how you will get to places. We are the car supplier thousands of clients rely on every year. We have preserved our spotless reputation and our customers' approval from around the globe. Entrusting us once, we are sure you will want to use our services again! Request a quote from 8Rental and book the most fabulous minivan in Liege! Our company is aware that customer service differs from company to company, but we have concluded that the key characteristics of good customer customer include: a rapid response time to customer requests, responding to all feedback and requests (positive or negative), a frictionless process for getting in touch with a customer support representative, a willingness to apologize and compensate for errors, empathetic solutions to problems, and helpful recommendations customers can use to learn and grow. In this way we want our customers to always be satisfied after using our minivan with a driver hire service. We strive to fulfill our clients' expectations and at the same time to happily acknowledge and quickly correct our downsizes. 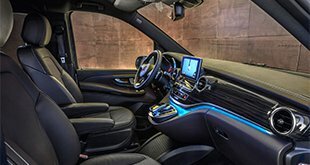 A spacious minivan supplied with all necessary specifications for driving in complete safety and comfort is what you need for your whole team. We have a fleet of different minivans to choose from. Before hiring one, consider it well. First, take into account how many of you will be driving in Liege. If there are only up to eight or nine people, we can offer you the standard Mercedes Viano or its VIP model. Both models are equipped with central heating and air conditioning, convenient seats, window curtains, carpeted floors, etc. If your group has certain additional requirements such as a TV, a minibar or a fridge in the vehicle, just let us know in your quote. Extra amenities are provided for a small additional charge. 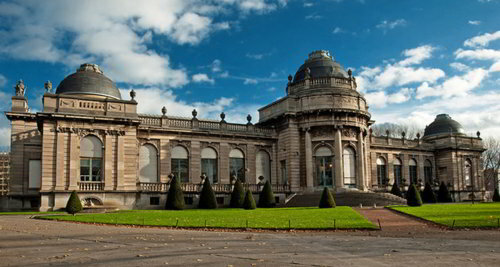 Hire a chauffeur driven van in Liege now to book your vehicle on profitable conditions. 8Rental wants to remind you we can send a larger minibus model Mercedes Sprinter to the airport to meet your entire group. This model can drive up to two dozens of passengers. Just like the previous model, it is equipped with all the amenities you may consider important for enjoying driving in the city. By hiring this model, just like any other, you will be provided with fuel and insurance. 8Rental is ready to undertake the payment of all fees and taxes, too. We have made everything so that you get satisfied with our services. 8Rental works exceptionally with licensed and experienced drivers who can demonstrate a professional approach to every client. Each of our expert chauffeurs knows the city's roads well enough to take the right direction, Hence, you will not have to explain your destination, your driver will be satisfied with the mere address name. Additionally, we have English, Russian, French, German and Italian speaking drivers all at your disposal. Hire any of them who speaks your language to make your communication easier and more pleasant.